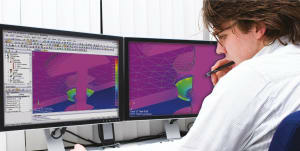 Simulation engineers need a pre- and postprocessor that ensures accuracy during tight deadlines. These finite element analysis (FEA) tools must open various geometry types, simplify them, produce a viable mesh and represent results meaningfully. Complete the form on this page to download your free white paper. Your download is sponsored by Siemens PLM Software.